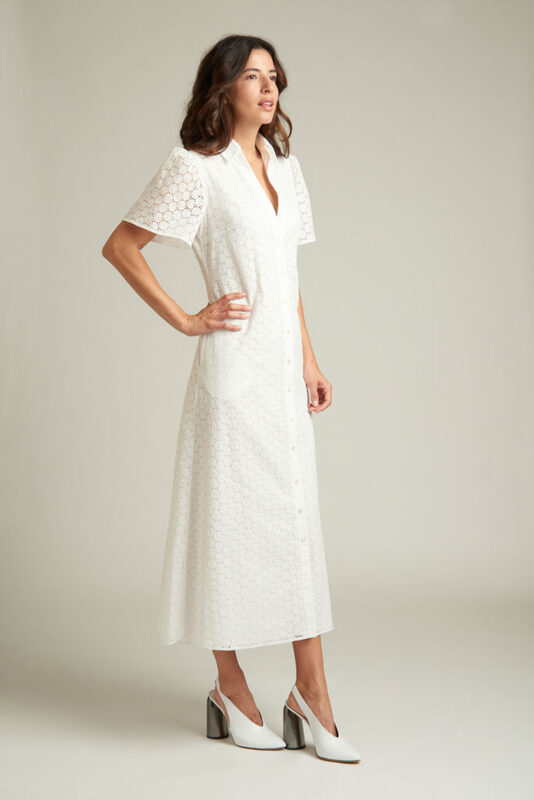 Cut from a beautiful cotton eyelet with a dramatic hemline. 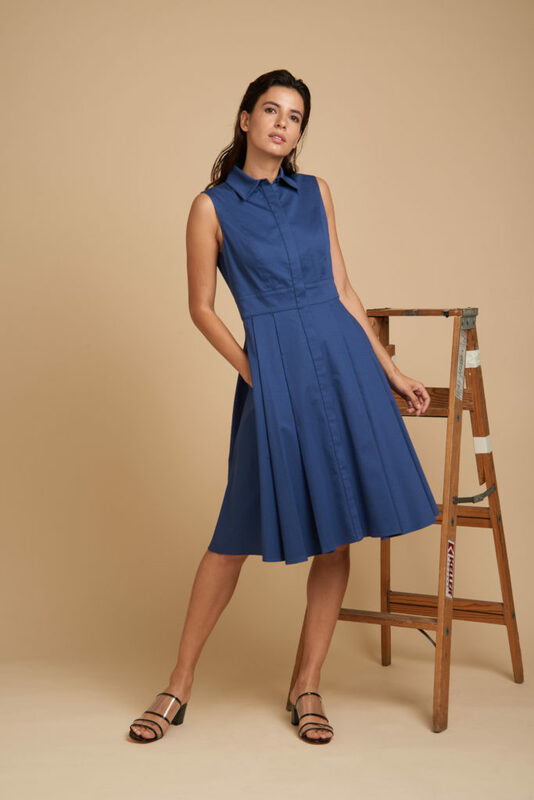 The bodice has a nipped waist and a tailored short-sleeve. 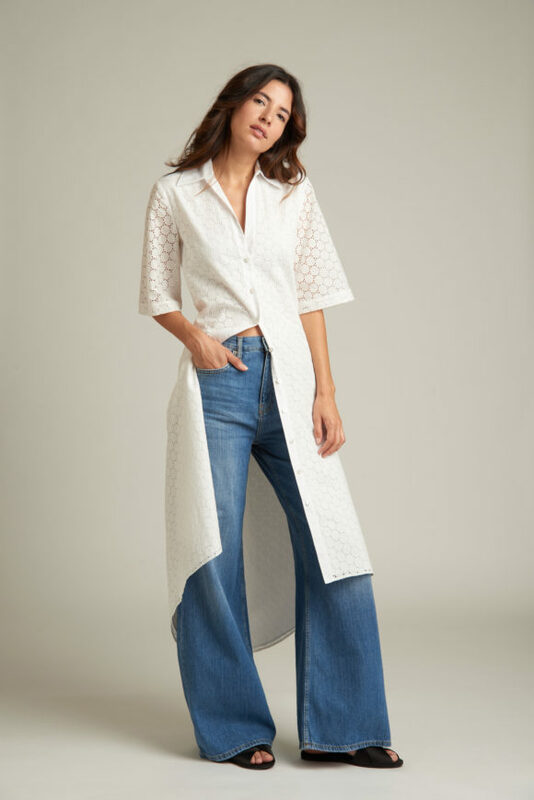 Wear it alone or over your favorite pair of jeans. Size & Fit Information: Runs true to size.